Hey everyone! Thanks to the encouragement of Grunts1175 I decided to make an article based off of the step by step tutorial I made for a WIP in the forums. 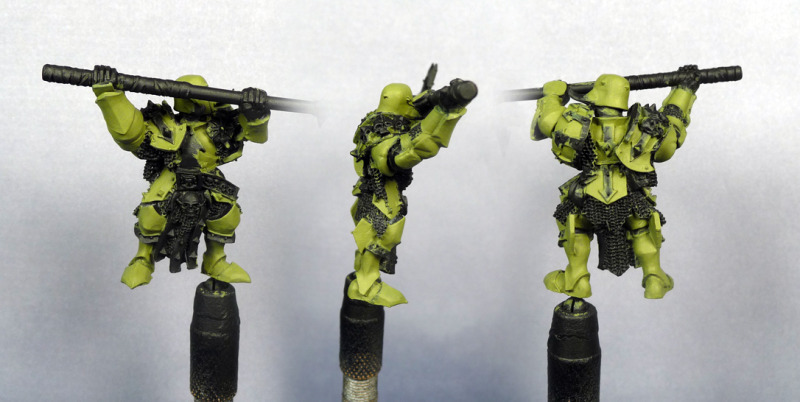 It is a tutorial for making nice tabletop quality nurgle armor. Quick easy and like everyone has told me, very old skool but in a good way! Lets get started! This first picture just shows the base coat which is a mix of 50/50 catachan green and camo green. Mixed with around 25% water so that it goes on smoothly. I am sorry why i can`t see the rest of the steps apart from step 1?